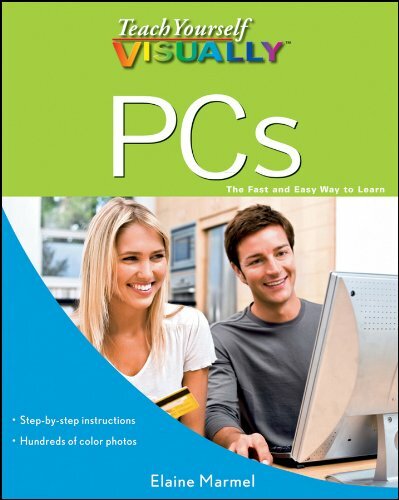 PCs made easy for visual learners Beginning computer users who want to see visually how things are done will learn quickly and easily with this full-color, step-by-step guide. Screen shots show clearly what you will see at each step, and numbered instructions guide you through dozens of common PC tasks. You ll learn all the basics, plus some intermediate topics including how to use multimedia applications, the Internet, wireless technologies, Windows 7, Office 2010, mobile devices, and key security processes. * Computer literacy is essential in today s world; this full-color guide makes it easy for visual learners to get up to speed quickly * Covers basic operating procedures, hardware and software, Windows 7, networks, the Internet, wireless devices, using multimedia applications, Office 2010, syncing with mobile devices, virus protection, and much more * Each lesson is fully illustrated with screen shots and numbered, step-by-step instructions If you learn best when someone shows you how it s done, Teach Yourself VISUALLY PCs is the computer book you ve been looking for. Are you a visual learner? Do you prefer instructions that show you how to do something ? and skip the long-winded explanations? If so, then this book is for you. Open it up and you'll find clear, step-by-step screen shots that show you how to tackle more than 150 common PC tasks. Each task-based spread covers a single technique, sure to help you get up and running on your computer in no time.